Prevent attacks by locking down all authorized actions and prevent leaked or stolen data from being read. Invisibly, automatically, without fail. SDS helps you focus your endpoint security efforts on what you can positively control instead of chasing the latest malware variant or trying to train your users to be security experts. We combine DeepWhite, the strongest whitelist-based protection technology, and Evolution DLP, a seamless and automatic data loss protection solution, into one integrated system that is powered by our patented Active Intercept engine and Shinobi Forensics logging and reporting platform. API / Kernel level whitelist technology that protects against all unauthorized activity on your endpoints. With more than 1 million new malware variants appearing every day, it is no secret that traditional antivirus software can no longer keep up with the exponentially growing number of attacks. Whitelist-based solutions are the wave of the future. Shinobi DeepWhite is the most powerful and comprehensive whitelist solution available today and is the only whitelist product to run at the API and kernel level to validate every action on an endpoint. Invisibly prevents any leaked or stolen files from being read. Zero end user rules or interaction needed. Over 4 billion data records were lost or breached in 2016 (up 556% from 2015), and the increase isn't stopping. Evolution DLP is a powerful and flexible automatic encryption and protection technology that runs on your endpoints to seamlessly protect against deliberate and unintentional data loss.  Evolution DLP is centrally managed to remove the opportunity for users to make errors and accidentally lose data while preserving high business productivity. Patented interception and analysis technology that monitors all endpoint actions. Shinobi Active Intercept is the core engine that powers the Shinobi Defense System suite using proven and patented technology. Active Intercept continuously monitors the millions of application, user, system, and kernel API actions and validates them against your whitelist and data usage policies. Provides the industry's most comprehensive view of every endpoint action for proactive forensic analysis.  Shinobi Forensics records all endpoint activity and Active Intercept outputs of the ”5 Ws”: who is accessing data, what action is being taken, where the action is originating from, where the data is, and when the action happened. These logs are indispensable in the proactive discovery of where to tune your security policies and incident response and analysis. ISO-certified security functions and manufacturing and operational processes including cryptographic implementation. Five international patents for API/kernel monitoring with nearly 20 years of cybersecurity experience and know-how. Whitelist security provides the strongest defense against outside attacks and is utilized by organizations with a Security First mindset, including the US Government. However, many whitelist-based solutions only provide application-level whitelists that are highly vulnerable to fileless attacks and memory injection. Humming Heads is the first and only cybersecurity company in the world to have API / Kernel level whitelisting as now described in NIST Special Publication 800-53 Revision 5 (Draft). Authentication and firewalls already use whitelisting. Why not use it for your endpoints as well? Supports hosted web services deployments, protection of virtual machine environments as well as online storage solutions. Over the past 19 years, Shinobi Defense System’s patented technology has protected more than 1 million PCs at nearly 1000 organizations in Japan including local & central government offices, major banks, internet companies and major utilities. As attacks become more widespread and sophisticated, traditional security solutions simply cannot keep up with the threats. Data leaks remain rampant and one lost USB drive can bring down an organization.  If you feel like you are fighting a losing battle and that a breach is “only a matter of time”, SDS allows you to take positive control of your endpoints and stop being a victim of external attacks and internal mistakes.